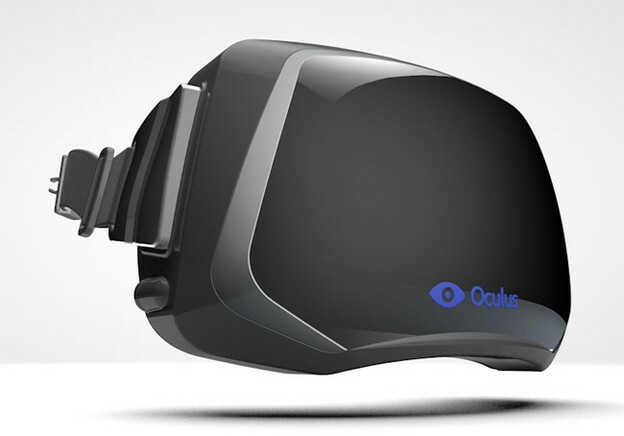 Since the Oculus Rift Virtual Reality headset is presented at the kickstarter, they have so far collected about $ 1.3 million investment, which significantly exceeded the required $ 250 000 as a team from the company Oculus supposed to start serial production. Oculus Rift Virtual Reality headset represents a “VR helmet,” which has two wide-angle high-resolution screen (1280×800) for each eye, which allows you to create 3D images in the field of vision of 110 degrees diagonally and 90 degrees horizontally. Headset support monitoring the movement of the head (head tracking) with low latency and 6 degrees of “free movement”, have a DVI / HDMI and USB ports, weighs only 0.22 kg and supports PC and Xbox 360 and PS3 consoles. The biggest commercial for Oculus this year made the id alpha and omega John Carmack, after testing helmets this year at E3, stating that the system is the most perfect virtual reality of today and the closest one to Holodeck from Star Trek. After that, the Oculus entered into an agreement with ID, under which every customer in their “virtual helmet” with him will get a copy of the game Doom 3, which will be the first fully supported game and these days, Oculus and Carmack confirmed that they will have the support of Oculus Rift for id’s latest horror FPS Doom 4, whose release is expected during 2013. year. John is the full-time blogger for Dota 2 Club, the free database of Dota 2 maps which are available for download. This is really impressive. After disappointing us in the 1990’s, virtual reality may finally come to the home in a big way during this decade. I do trust all of the ideas you have introduced for your post. They are very convincing and will definitely work. Nonetheless, the posts are very short for starters. May just you please prolong them a little from subsequent time? Thank you for the post.